Anselm was born at Aosta in Italy in 1033. 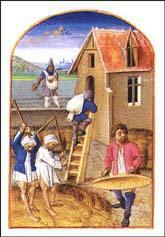 He left home after a dispute with his father and after several years of wandering he became a monk in Normandy. Anselm entered the Abbey of Bec in 1059 and replaced his mentor, Lanfranc of Pavia, as Prior, in 1063. Over the next few years he wrote two important theological works, Monologion and Proslogion. In 1078 Anselm was elected Abbott of the Abbey of Bec. In 1093 William Rufus appointed Anselm as Archbishop of Canterbury. The two men soon came into conflict. Unlike his father, William the Conqueror, Rufus was not a committed Christian. His father's policy of spending considerable sums of money on the Church was reversed. When Rufus needed to raise money, he raided monasteries. Anselm also strongly disapproved of the behaviour of some of the priests in England. He claimed that they were spending too much time pleasing their patrons instead of looking after the spiritual needs of the people. Anselm created great controversy when he ordered priests, deacons and canons to abandon their wives. He also prohibited sons from inheriting their father's churches. In 1096 William Rufus imposed a new tax on his barons. When they complained they did not have this money, William Rufus suggested that they should rob the shrines of the saints. Anselm was appalled by this behaviour and in 1097 went into exile. Anselm's estates were now seized by William Rufus. While in Rome the Archbishop of Canterbury finished his study of the theology of redemption, Cur Deus Homo. After the death of William Rufus, his brother Henry became king of England. 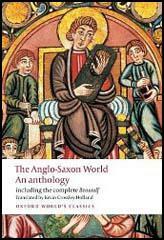 In an attempt to give Henry's rule legitimacy, Anselm was recalled to England in 1100. At first the two men worked well together but in 1103 Anselm's insistence that papal orders must be obeyed, led to another dispute and once again he was sent into exile. 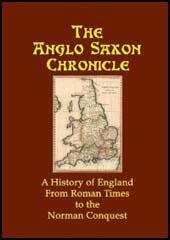 In 1106 Anselm returned to England and the following year a compromise agreement was reached. Henry accepted that the Pope in Rome would have a say in the appointment of bishops in England. Anselm died on 21st April 1109.